Pedals Adjustable, self balancing, close spacing, enlarge, impact-absorbing, fit to any size user and provides gentle movements to reduce lower body stress. Display Feedback Multi feedback read out instantly displays time, distance, RPM, calories, pulse, speed, resistance levels and watt. Programs 22 Programs, 12 presets, 1 manual, 4 user, 4 HRC (55%, 75%, 90%, target) and 1watt. 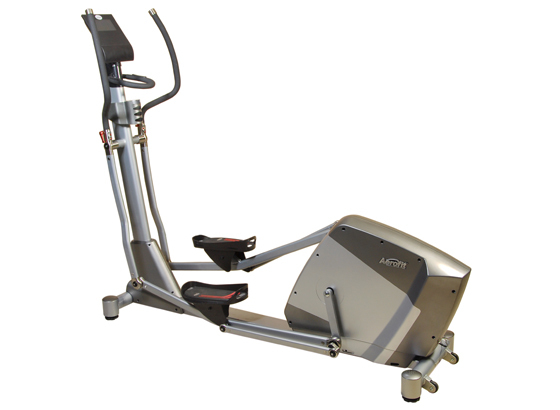 To Recieve updates and possible rewards for Aerofit AF 825 E please sign in. To Recieve updates and possible rewards for Cross Trainer/Elliptical please sign in.